People’s Gardens: Why Would the USDA Want People to Register Their Gardens? Update: I was corrected by someone and told that People’s Gardens are the name for Community Gardens, not people’s individual gardens. It still doesn’t sit well with me. Last month the USDA announced People’s Gardens. I’m sure that my thoughts on why this database will be questioned by the “anything having to do with gardening is great crowd,” much like my post on Michelle Obama and the White House Garden was, but this just doesn’t sit well with me. When the S510 Food Safety Act was being discussed, I thought it smelled a bit funny. I think this smells even worse. 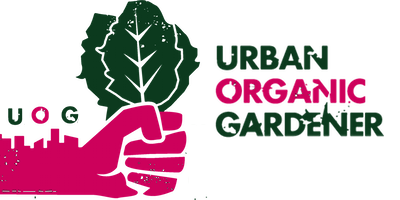 With the opportunity for the people to enter their People’s Gardens into the database, they will be able to describe each garden, identify who is involved¸ where it is located as well as attach photos and add the contact information for their partners. For those who start a People’s Garden, they can ask to have a People’s Garden sign shipped to them. To view the interactive People’s Garden map and access the database, go to www.pubinfo.usda.gov/garden. Of course USDA Agriculture Secretary Tom Vilsack wants to promote access to healthy food and sustainable practices. I mean he did greenlight Monsanto’s genetically engineered alfalfa and has been in the pocket of the biotech company for years. Come on. Let’s be real here. If Monsanto does indeed want to control the food and seed supply and Vilsack is one of their puppets, why would I ever register my garden and give them all of my information. Why would you? Maybe I’ve read 1984 or other conspiracy theories too much. This screams of them wanting to know more about us and who is indeed growing their own food to eventually crack down on that. It would be the perfect chance to fine us for growing too much of it. With all that’s going on and what the USDA and Vilsack have done, I just don’t believe that they want this information to promote what they are saying. I certainly will not be registering my garden. What’s your thoughts on People’s Gardens?